In what kind of soil do healthy male-female relationships leading to marriage grow, and with what kinds of attitudes and support might those marriages not only survive but thrive? 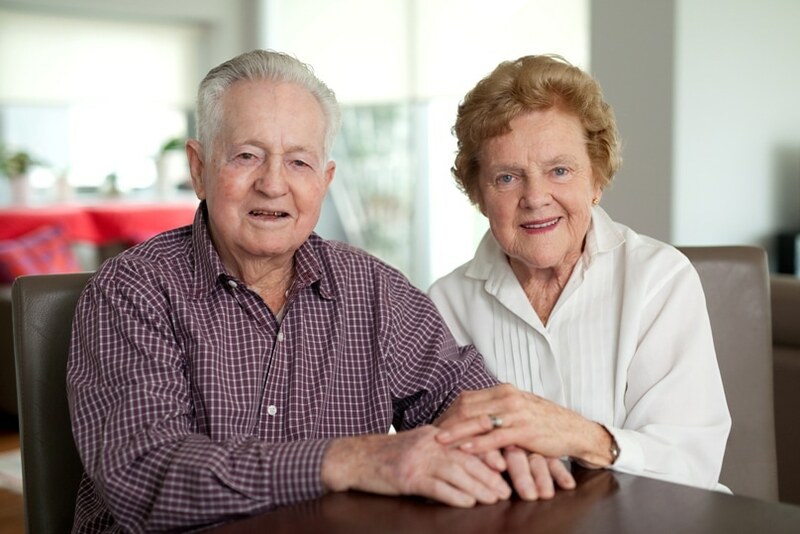 Bruce and Paulene Creenaune know – in the deepest sense – having lived it out for the past 65 years. Theirs was one of 72 marriages celebrated at Wollongong Diocese’s annual Marriage Anniversaries Mass on 18 September, at St John Vianney’s Catholic Church in Fairy Meadow. Bruce and Paulene met only two years after the end of World War II. They lived in the small country town of Gilgandra (NSW) where their families knew each other, meeting for the first time at a bush dance for the Bush Fire Brigade in a little town called Biddon, not far from Gilgandra. Over the next four years they only saw each other from time-to-time as Bruce was often away cooking for shearers across Central-West NSW. When they did have time together they usually went to country dances, the movies and played tennis with family and friends. When asked what makes for a good marriage, Bruce and Paulene said, “Generally we’re not ones for giving advice out to others. Although the times have changed, the fundamentals are the same – marriage is about give and take, it’s about communicating with each other, respecting each other’s points of view and about being there for the other person. “We both see ourselves very much within the context of our broader family and agree that it’s the bonds of the family we have that has kept us together. When times are tough or when big decisions need to be made, we always do it together and with our family’s love and support. The experience of bona fide church community had been a great help, said Paulene, during the busiest days of parenting. “During our time in Wollongong now with six children, parenting was ‘full-on’ all the time,” she said. During the early years in Wollongong, Paulene gave her time sewing for the school every Tuesday as well as working in the tuck shop and teaching Scripture at a local public school. Paulene still teaches Scripture each week. Speaking on the occasion of the special anniversary Mass, the bishop of Wollongong, Bishop Peter Ingham, said it was one of his favourite events of the year, lauding the couples’ “inspirational and powerful witness to love and faithfulness, enduring even through tough times”. He also had a word to say about other great exemplars of love.